High-speed train service Eurostar transports some 10 million passengers annually between England, France and Belgium, moving them under the sea through the Channel Tunnel. But the company is centralizing IT services that power its operations in the cloud. Most of Eurostar’s enterprise solutions have moved to AWS, including critical mobile and web apps for customer booking and other services. Employees also leverage cloud services for data storage, sharing and collaboration. Consequently, the importance of network reliability, performance and flexibility has increased. Realizing that it needed to deploy a global WAN solution to support its digital transformation initiatives, Eurostar determined that the best approach was to partner with a managed services provider that could help it meet its particular needs. An additional benefit would be finding a provider that could couple the ability to support dynamic traffic engineering with bandwidth on demand with managed security to keep Eurostar a step ahead of ceaseless cyber threats. Turpin found what he was looking for in Masergy: The managed services provider created a custom WAN that offers direct and private connections to Eurostar’s AWS environments. Tailored for applications like those that Eurostar utilizes in train stations, offices, ticketing and call centers across the United Kingdom, France, Belgium and India, the custom network design intelligently delivers both primary and backup connectivity. Eurostar had some initial questions about whether a U.S. company would be able to serve its European and U.K. locations. But after learning about Masergy’s innovative capabilities, Eurostar was satisfied it was making the right choice. Chief among the positive capabilities are Masergy’s real-time bandwidth on demand and quality of service (QoS) options for improved application performance. 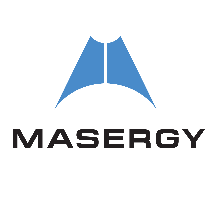 And Eurostar was pleased with Masergy’s Software Defined Platform, which delivers comprehensive global coverage. Masergy’s ability to provide real-time visibility, control and analytics that help Eurostar make data-driven decisions about network connectivity is critical to the business’ objective of becoming a customer-first company that lets patrons enjoy streamlined web, mobile and call center support experiences. “Masergy provided us with the ideal partnership to accomplish all of our goals,” says Eurostar CIO Laurent Bellan. Indeed, Eurostar’s goals are growing apace. The high-speed rail provider expects to undertake a variety of projects in the area of unified communications to further improve interactions with customers as well as collaboration across the company and with third parties, Turpin says. Masergy stands out in Turpin’s view as a true partner intent on providing an excellent customer experience. His account manager, he says, was always involved and available to Eurostar, making sure Turpin and his team got the answers needed to resolve any issuesand move the hybrid network migration and security initiative forward. “We really appreciate his being a good facilitator,” Turpin says.